With the Canadian Thanksgiving behind us, thoughts now turn, at least for little ones, to Halloween. I, on the other hand am all grown up and if I'm to be honest I'd have to say it's one celebration I can take or leave. As an adult, it means spending money on treats that most parents would agree their children shouldn't have, but they're going to come begging for and I'm going to give them anyway. Turnout in our neighbourhood tends to be fairly good, so handing out candy comes at a fairly significant cost. Trying to figure out what to purchase that won't make you look like the cheapest people on the block is a challenge. Also, without the excitement of little ones under my roof talking about Ironman or Dora costumes to get the fun going, I anticipate only that I will come home from a long day of work Oct. 31, and as supper preparations begin so will the knocking. Chopping and dicing, mixing and pouring become part of a pseudo cardio routine as I run back and forth between the kitchen and the front door. 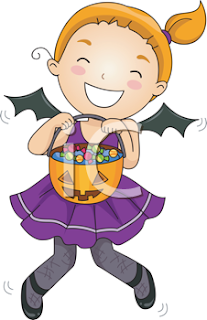 But any crustiness I might be feeling dissipates once that door opens and I see a sparkling little princess and adorable fuzzy bear standing on the porch, sweet voices chiming "Trick-or-treat." This, then is what I can take about Halloween. The little ones in their costumes can't help but bring a smile to a jaded countenance or lift the spirits of a tired soul.